Our gang of teen delinquents realize they've had absolutely no preparation to live in the real world. Blindsided by their betrayal by Matsdotter Academy and stranded in unbelievable new circumstances, the girls discover the depths of corruption reach even the little shops on Jade Street. 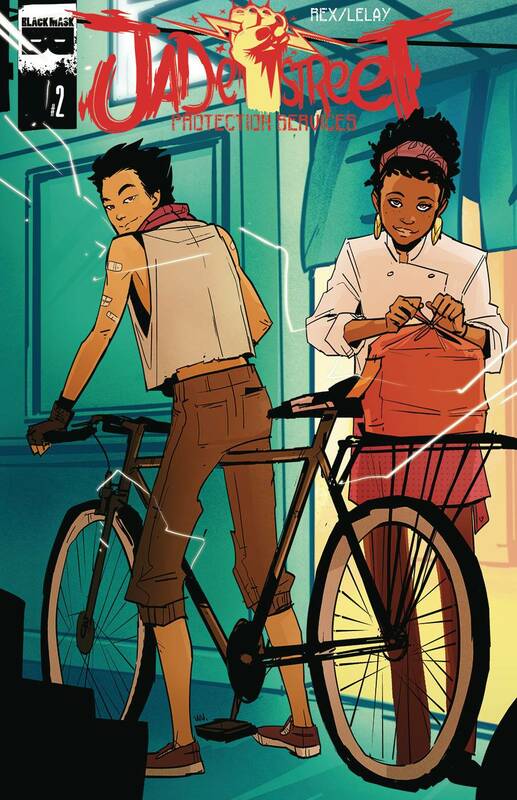 Story creators Katy Rex & Fabian Lelay explore the rad and insurrectionary world of JSPS helped by the talents of colorist Mara Jayne Carpenter, letterer Taylor Esposito, and cover artists Annie Wu and Kiki Jenkins. How can you change the world when you can't tell what's wrong with it?